With traditional data backup strategies, IT admins safeguard users’ data, verify the integrity of the backed-up data and, after a failure, pray for a successful restore. But virtualization has introduced a flurry of new data backup strategies for the entire virtual machine (VM). 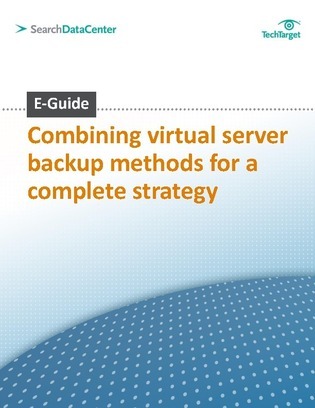 Access this exclusive e-guide to discover the benefits of virtual server backup vs. traditional data backup methods and learn how you can combine the two approaches for a complete (and free) VM backup strategy.